We are New and Different. 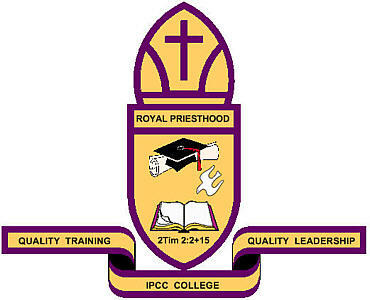 IPCC is a Christian College that secures Quality Leadership through Quality Training. Difference with Christian Academic Discipline and Christian Academic Excellence. We make a clear Distinction between the Theory of Theology and Practical Christianity. 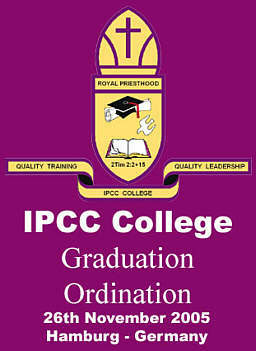 People who attend IPCC COLLEGE are equipped with the Word of the Truth, the Anointing and the Know How, to give them Spiritual Empowerment, that is the Gospel Power to render more effective service to God and the Church - The Body of Christ world wide; We believe that, Knowledge about the Truth in Christ is Power. 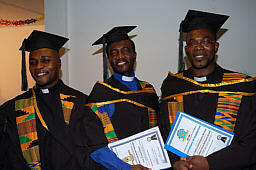 IPCC courses are aimed primary at the International Christian Community in Germany, predominantly designed for the Pentecostal-Charismatic Ministers and Church Leaders. 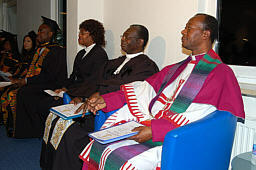 IPCC courses are also arranged for potential German Christian Leaders and general Christian workers. Our foundation course is designed to broaden the Bible Knowledge of believers in General that is equipping the Saints for the effective work of the Ministry in these end time. 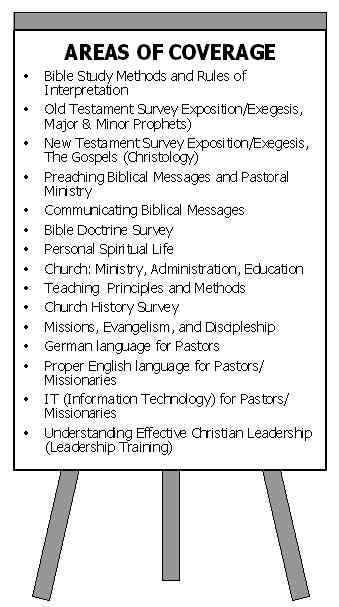 § Our courses are designed for the equipping and training of the Saints of God, Pastors and Church Leaders in basic Bible Knowledge and practical Christian ministry skills. IPCC COLLEGE seeks to offer a programme of true instruction that is on the cutting edge of the Holy Spirit's work in the Church in Germany today (The need for Spirituality in Germany and Europe) and the world as a whole. 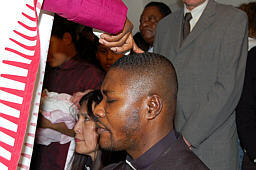 We explore into Pentecostalism, Charisma, Charismatics and Character in the Christian Church. Our courses are taught by experienced and qualified Tutors, many of whom are national and international acclaim. 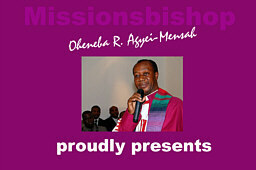 All our Tutors are presently involved in Ministries in the areas in which they are teaching. They teach with anointing and bringing understanding. We are committed to quality training and Christian academic excellence with more practicability. Our prime Aim is to give the Kingdom Power in the Word of God, which is The Only Key to the People, to know The Truth that The Truth will set them Free. We also require students to get involved in all aspects of the College life. And to be committed to 2Timothy 2: 2+15. "And the things that you have heard from me among many witnesses commit these to faithful men who will be able to teach others also. 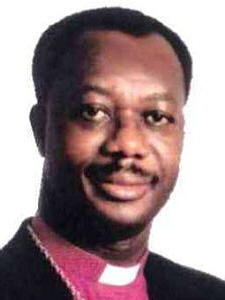 Study to show yourself approved unto God, a workman that needs not to be ashamed, rightly dividing the word of truth." 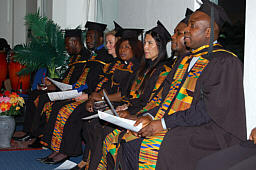 This College awards Certificates, Diplomas and Higher Diplomas or Degrees in conjunction with authentic International recognised Christian Institutions and Accredited Christian University. 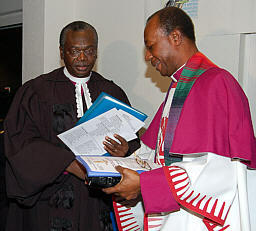 IPCC COLLEGE also deals with ecclesiastical, ecumenical and theological affairs. It has direct dealings with the Department of Theology and Law of the IMCOE, which is responsible for licensing, immigration and overseas activities. IPCC COLLEGE is a member of the International Ministerial Council of Europe (IMCOE). Graduates who may be ordained to any position at the level of this Council will have ecumenical, national and international recognition and responsibilities. It is believed and said that, Quality has its Price and Quality sells best. 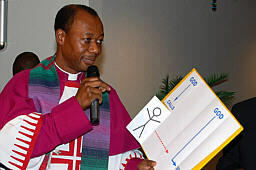 We offer Quality Training that secures Christian Leadership Efficiency with moderate Prices. According to King David, free things are mostly not well cherished, not seen to be precious and less valued or not taken serious.